The first I heard of this book was when I went to go see the author speak at the National Library of Australia. As someone from a large family, I have always been a bit curious about the dynamics of a family with only one child, and so I bought a myself a copy and got it signed by the author. 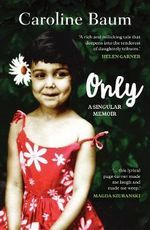 “Only” by Caroline Baum is a memoir about growing up as an only child with two European parents in England. With Caroline’s successful businessman father an Austrian refugee from the war and her beautiful mother an orphan from tragic circumstances, her elegant yet traumatised parents raise her in an affluent home full of tension and high expectations. As a young adult, the controlled and isolated environment of her childhood becomes stifling and Caroline begins to forge her own life. However, as her relationship with her parents turns increasingly fractious as they age, Caroline finally severs ties with her parents. Resuming contact years later after a tentative olive branch, Caroline soon finds that her relationship with her parents is forever changed. 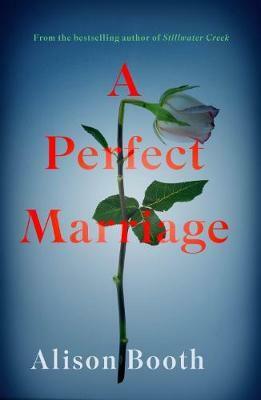 This is a beautifully written book that weaves together the many themes experienced by this small but complex family. 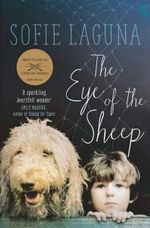 Baum explores the deep and lasting impact of her parents’ trauma on her family’s unique dynamic, and throughout the book struggles to reconcile with her father’s controlling behaviour against his extreme vulnerability as an older man. Baum is very cognizant of her family’s privilege and her recollections of her extraordinary upbringing are tempered with an awareness that the dinners, schools, clothes and travel were not opportunities available to many people. I also really enjoyed Baum’s recollections of her early days as a journalist, which honestly would have made a great memoir in its own right. I think the one thing that I felt was missing was a bit more information about Baum’s life in Australia. I think that with any memoir, it’s hard to know what to include and what to exclude. This is a book about being an only child, but I would have liked to have read more about what it is like to be an only child living in another country away from your parents. A fascinating insight into an elite and insular post-war family, I enjoyed this book and I look forward to reading more of Baum’s work. Although this might not seem like a Christmas book, I first bought it from the author when she was selling her books at the Beyond Q Christmas book sale that they held a couple of years ago when they were based in Curtin. I bought a copy of this book from the author, which came with a super cute little handmade Christmas cracker and a bookmark made out of stamps, and it sat on my shelf for far too long before I finally read it. Just this year though, I interviewed the author about writing horror for a Halloween special episode of my podcast, and so it was definitely time for me to give this book a read. “The Grief Hole” by Kaaron Warren is a horror novel about a young woman called Theresa who works as a domestic violence social worker. Theresa has a special but macabre ability: she can tell how you will most likely die. Increasingly haunted by the spirits of future death that surround her clients, she decides to start taking fate into her own hands with disastrous consequences. Traumatised, she moves away and takes up a job offer from an estranged relative whose daughter recently committed suicide. When the talented young artist’s death begin to emerge, Theresa is determined to prevent history repeating itself. However, when she discovers who exactly she is up against, Theresa is forced to examine her own motives. This is an eerie and disturbing story that uses a thin overlay of the supernatural to explore good and evil, selfishness and selflessness in an otherwise very realistic world. Warren turns the themes of power and control inside out to examine questions of how much we determine our own futures and how much we must passively accept. She also asks whether our intentions can ever truly be pure, and whether we can ever truly know what the impact of our actions will be. Warren has a real knack for dialogue and for taking the everyday and making it horrifying. She maintains a palpable sense of unease throughout the entire book. However, this book won’t be for everyone. Although it’s not blood-spattered, stereotypical horror it is very disturbing in its own way. I found quite a few parts of the book confronting and uncomfortable, and this is a book that lingers after you have read it. It is intentionally ambiguous and the reader will often feel like they are walking through a heavily rainy landscape unable to clearly see where they have been or where they are going. 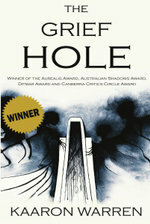 A unique and unsettling take on the horror genre by a local Canberra author, it is not surprising why this book won so many awards and if you’re looking for something a little darker than normal, this would be a great book to check out. Content warning: mental health, self-harm. This book had received quite a lot of attention when it first came out, and I was intrigued to read a book that not only has such a striking pearlescent cover, but is by a Canberra author as well. I picked up a copy and it sat patiently on my shelf for ages, but when I got my copy signed at the author’s event launching her newest book, I knew it was time to give this one a go. “The Anchoress” by Robyn Cadwallader is a historical fiction novel about a teenage girl called Sarah in medieval England. Sarah decides to become an anchoress, secluding herself in a cell attached to a church to live the rest of her life in solitude and prayer. 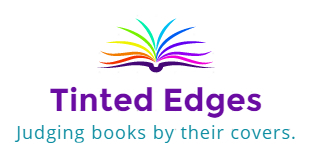 As the story progresses, the reader comes to learn why Sarah has chosen this hard, lonely life while Sarah learns that even as an anchoress, she cannot escape the outside world. This is an ambitious book that is excellently crafted. It’s difficult to tell an engaging story completely set within a tiny cell, but Cadwallader brings to life a rich story full of engaging characters and moral dilemmas. You can tell the research that went into this book. Cadwallader conjures a world where the opportunities for a woman to make her own life are greatly limited, especially by the risks of childbirth. The day to day detail of this story brings medieval culture to life. In such simple times, even the smallest objects have so much meaning and utility. I think that my favourite parts of this book are the characters that Sarah interacts with, and the snippets of the outside world that she ultimately can’t escape. I also really loved how the discussion of writing a prayer onto an apple played out, and Sarah’s difficulty in interpreting her faith by balancing the wishes of the villagers and the decisions of the priests. I think the only part of the book I struggled with was the ambiguity of Sarah either being haunted by the spirit of the previous anchoress Agnes, or suffering from some serious mental health issues. I appreciate that during medieval times, the line between mental illness and mysticism was much, much more blurry than it is today. However, I think that I would have liked maybe a little more focus on the mental health part and looking a bit more sharply at the damage Sarah was doing to herself rather than leaving it ambiguous. This is a fascinating book that really immerses the reader into a medieval phenomenon that so little is known about. Cadwallader’s passion for her subject matter radiates off the page and I can’t wait to read more of her work.